The Maritime Museum of San Diego experience includes admission to a world-class collection of historic sailing ships, steam-powered boats, and submarines, each offering entertaining and educational exhibits. With an international reputation for excellence in restoring, maintaining, and operating historic vessels including the world’s oldest active sailing ship, Star of India, the Museum is ranked as one of the nation’s top attractions offering self-guided tours, docent-guided group tours, tall ship charters and historic bay cruises, year-round public events, educational programs, and a distinctive venue for corporate/private events. The Museum is open daily along Star of India Wharf at 1492 North Harbor Drive, San Diego, CA 92101-3309. 619.234.9153. Sdmaritime.org. 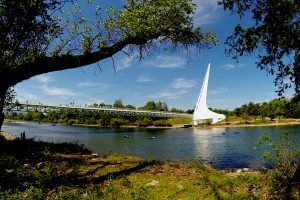 Known as the sunniest city in California, Redding’s most recognizable landmark is the Sundial Bridge, which is an actual working sundial. Designed by Santiago Calatrava and finished in 2004, this unique 710-foot-long footbridge spans the Sacramento River and stands at the entrance of the Turtle Bay Exploration Park, a 300-acre garden and museum complex that is an excellent destination for both students and seniors. Children will love Paul Bunyan’s Forest Camp, which features logging-themed activities in the Mill Building, the Parrot Playhouse, fully stocked with exotic lorikeets, a summer exhibit dedicated to live butterflies, the Walk on the Wild Side animal show at the Forest Amphitheater, and Wildlife Woods, a small zoo filled with additional animals native to California. Adults will particularly appreciate the tranquil beauty of the McConnell Arboretum and Botanical Gardens. Avid gardeners may want to take advantage of special events such as touring the garden with the horticulture manager or possibly shopping at one of the seasonal plant sales or on-site nursery. Turtle Bay’s museum has exhibits dedicated to local artists and history as well as wildlife. Freshwater fish, waterfowl and aquatic mammals thrive at the Visible River Aquarium, and salmon, anemones, and crabs at the Salt Water Tank. The museum also hosts special exhibits and has a store filled with Sundial Bridge souvenirs and other gift items. Sandwiches, smoothies, ice cream and, of course, coffee are sold at the Coffee Bar. Groups looking for one more activity might schedule a boat ride with Redding Jet Boat Tours; basic cruises last two hours, $45 per person, though a four-hour wildlife photography cruise, $65 per person, is also available. 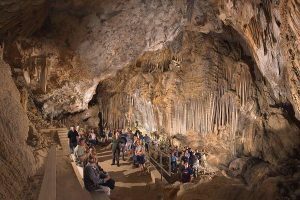 Tours of the Redding area may include visits to Lake Shasta Caverns National Natural Landmark, Lassen Volcanic National Park and McArthur-Burney Falls Memorial State Park. 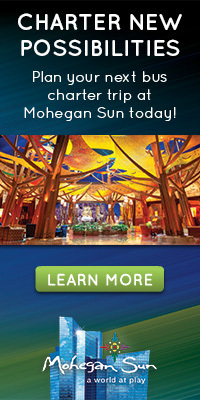 Redding has more than 300 restaurants and at least 22 motorcoach-friendly hotels. Thanks to the Redding Municipal Airport and the interstate, Redding is easily accessed by air and land. 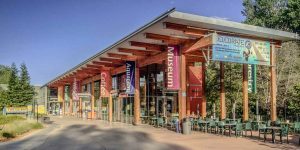 For more information about the Turtle Bay Exploration Park and other local attractions, contact the Redding CVB at (530) 225-4010 or go to visitredding.com. In an effort to maximize their city’s tourism potential, Visit Anchorage and anchorage.net are offering an online training program designed to AWE travel and tour planners – that is, turn them into Anchorage Wild Experts. Located in the Southcentral region of the state, Anchorage touts itself as a destination with big city amenities coupled with wild outdoor adventure. 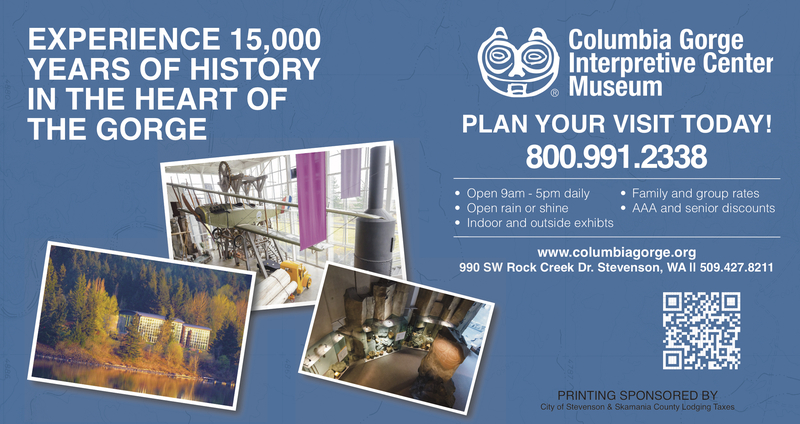 With 14 museums and cultural centers, a list of restaurants offering international cuisine from Mediterranean and pizza to Mexican and sushi and everything in between, entertainment options that include an opera company, several theater troupes and even a Hard Rock Café, along with shopping that ranges from Native crafts and locally-produced items to art galleries and malls, Anchorage provides a distinctive metropolitan experience. To continue reading click here. Situated upon a nearly 7,000 feet peak in Arizona’s Quinlan Mountains is the world’s largest collection of optical and radio telescopes in the world. Astronomers from across the U.S. and around the world utilize the telescopes to push the boundaries of knowledge of the cosmos. Located 56 miles southwest of Tucson, Arizona on the Tohono O’odham Reservation, Kitt Peak National Observatory welcomes visitors, as well as astronomers. To continue reading click here.